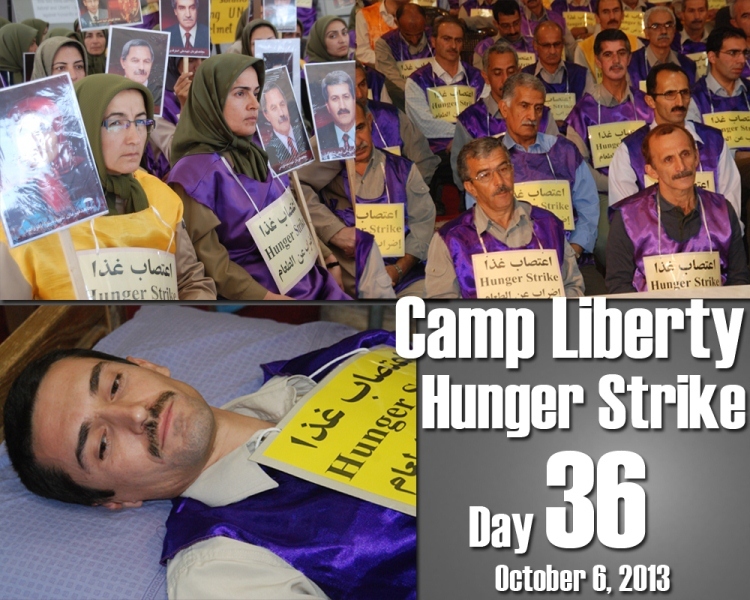 Today marks the 36th day of the Liberty residents’ hunger strike. Today, 19 hunger strikers, due to the side effects of the strike, were taken to the Iraqi clinic inside the camp. To this date, 363 of the hunger strikers have been taken to the Iraqi physicians’ clinic because of side effects caused by the hunger strike. The hunger strikers are upset and angry at the UN and especially US because of their inaction in dealing with the critical situation of the hostages; they say the U.S. and UN must ask the Iraqi government, in the strongest terms, to free the hostages, and they should warn the Iraqi government about the consequences of holding the hostages.